Skiing is awesome and I love it. However there are a few drawbacks. For one thing it is a cumbersome sport and there is a lot of gear. You have to bundle up in snow pants, long underwear, sweaters, turtle necks, neck warmers, gloves, etc. Then there are the helmets, boots, poles and skis. Then you have to pack snacks and lunch for the lodge. A lot of planning and a lot of schlepping just getting to the slope is an achievement. So by the time you get home the last thing you want to think about is dinner! Of course it’s the first thing the family thinks about because echoes of, “What’s for dinner?” are heard throughout the house as soon as they snow clothes are shed. Last time we went skiing my brother in-law made this delicious dish for dinner. 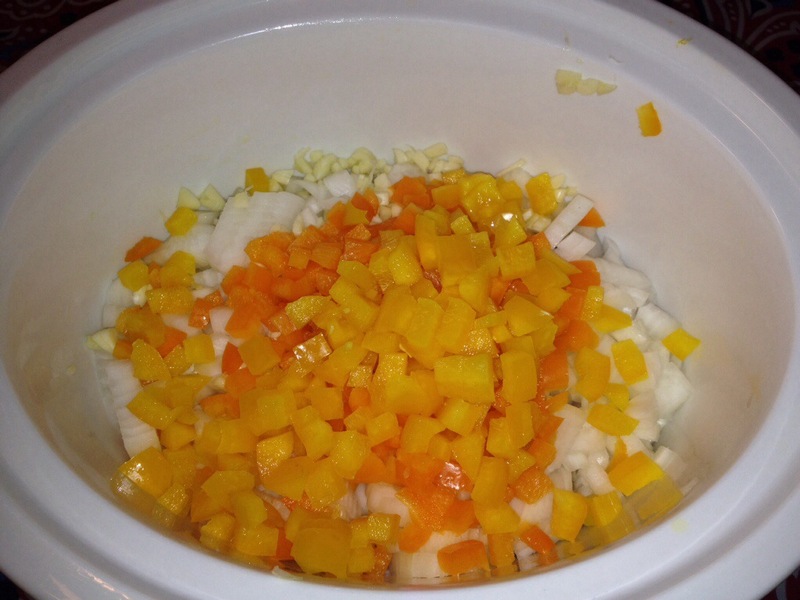 It was perfect because he prepared it in the morning and it cooked all day in the crock pot. While we were swishing on the slopes our dinner was being prepared. 1.) 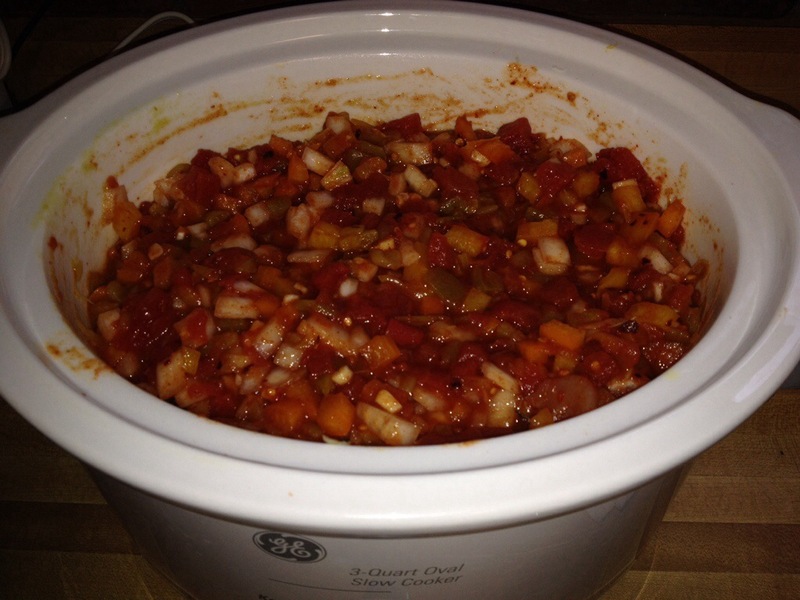 Place chicken, diced tomatoes, chiles, sliced green pepper, sliced onion, garlic, and taco seasoning packet in the slow cooker and cook on low for 5-6 hours. 2.) When you are ready to make your burritos preheat the oven to 400 degrees. Then take two forks and shred the chicken. I have never since this done before and I was impressed how easily the chicken shredded. 3.) Take a tortilla shell and spoon about 3/4 of a cup of the mixture onto the shell, sprinkle with 1 tbsp shredded cheese and then roll up burrito style. Place the burrito in a baking dish and repeat with the remaining tortilla shells. 4.) 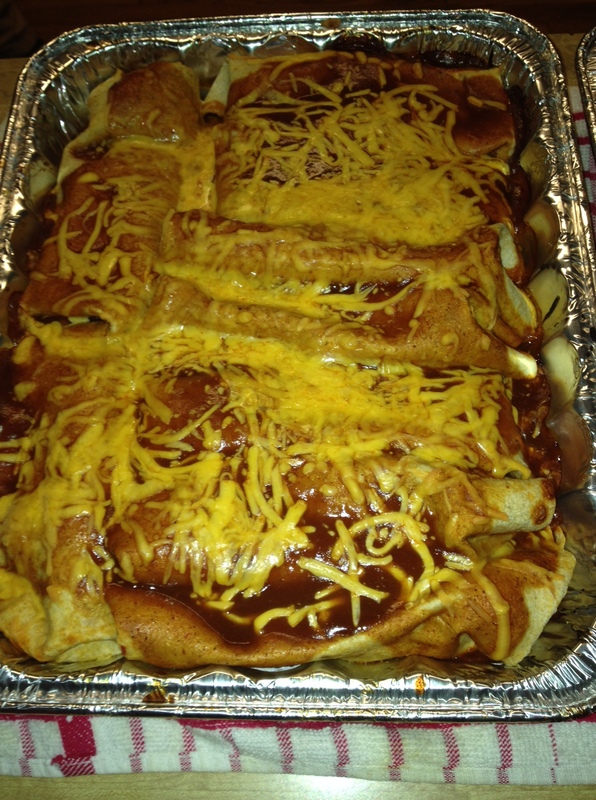 Pour the enchilada sauce over the top of the burritos in the baking pan. Sprinkle with the remaining cheese. 5.) Bake in the oven for about 15 minutes or until cheese is melted. Makes about 8 servings. We served it with white rice and sour cream, and it was a delicious after skiing dinner. Just watch the enchilada sauce it was a little to spicy for my crowd. 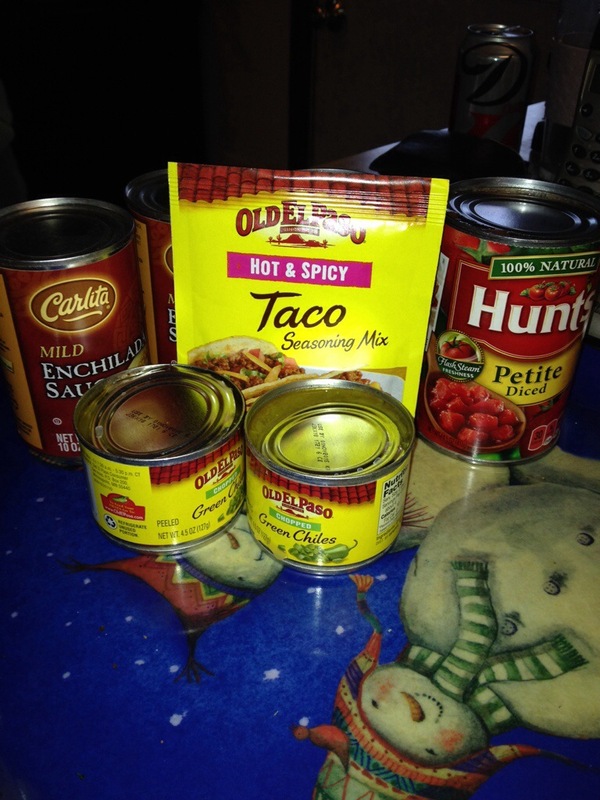 This entry was posted in Recipes, Skiing and tagged Burrito, Cook, crock pot, crock pot dinner, dinner, Enchilada, Mexican cuisine, recipes, ski, slow cooker, slow cooker recipes, Weight Watchers. Bookmark the permalink.